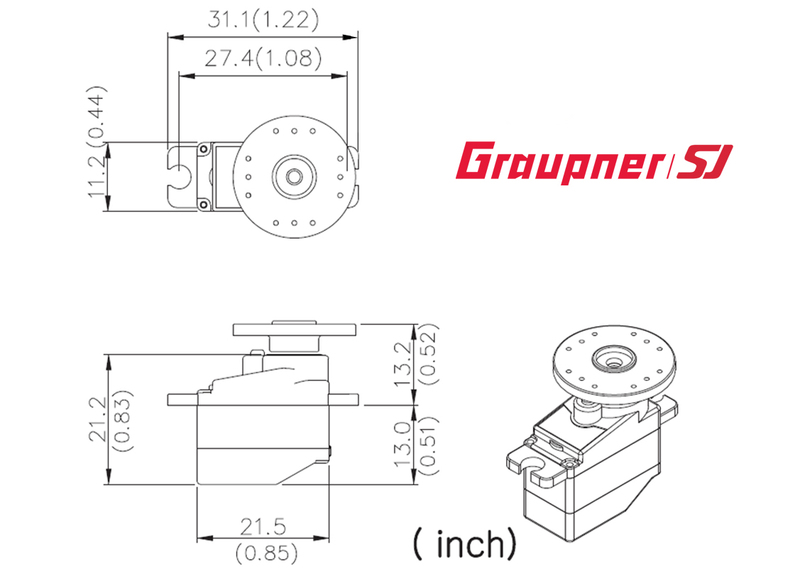 Designed with precision components, metal gears and ball bearings for durability and long-life operations, the Graupner DES 291 BBMG Digital Micro-Servo delivers maximum torque and speed with minimum weight. Don’t be fooled by the small size: you will be surprised with the precision, torque and speed the DES 291 BBMG can deliver, making it the perfect choice for parkflyers and small hand-launch sailplane models. The DES 291 BBMG can be specially programmed to meet all your needs via the free Graupner Servo Setup Software.